Kinosaki Onsen Yuraku "Yuraku Kinosaki Spa & Gardens"
Kinosaki Onsen Yuraku "Yuraku Kinosaki Spa & Gardens" is located centrally in the Kinosaki Onsen region and is surrounded by mountains on three sides, creating a uniquely serene atmosphere where you can take in the experience with all five of your senses. The Japanese-modern style guest rooms smell faintly of the surrounding nature and are furnished with solid natural wood tables and chairs. Every detail in your guest room has been considered to ensure a comfortable stay. 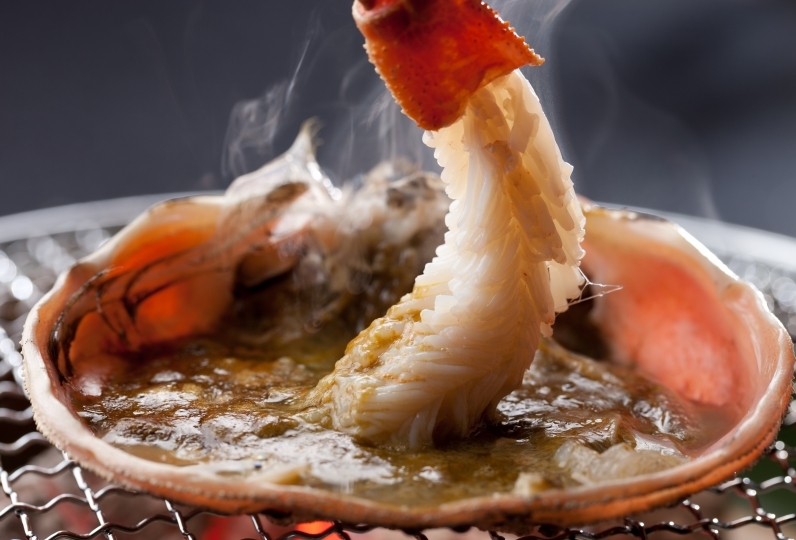 Our cuisine is prepared using fresh, seasonal, local seafood, and vegetables to present you with flavors that you can only experience in Kinosaki. 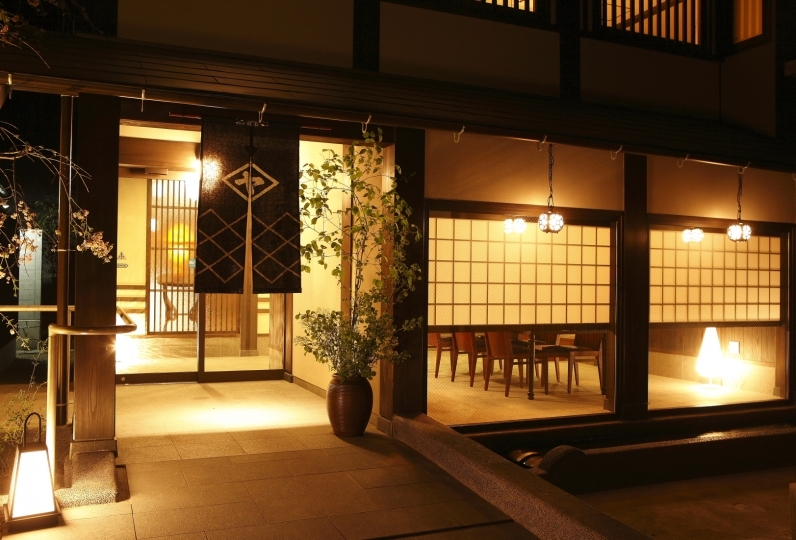 Kinosaki Onsen has a history of 1300 years and has been loved for centuries. Here you can enjoy three different types of private outdoor baths in addition to the communal bath and an outdoor bath. Leave the hustle and bustle of the big city behind and experience a blissfully serene stay with us. The food was very delicious. It is common for dinner to have a draft, but there was also a draft of breakfast, I felt a commitment. Those who were in charge of hospitality remained impressed with their hard work. There was still a feeling of tension, it seemed that there was no time to spare, but my heart got dirty to respond gently. I am sorry that dust accumulated in the frame of the shoji in the room. I thought the flowers in the hall and the sense of decoration are good. 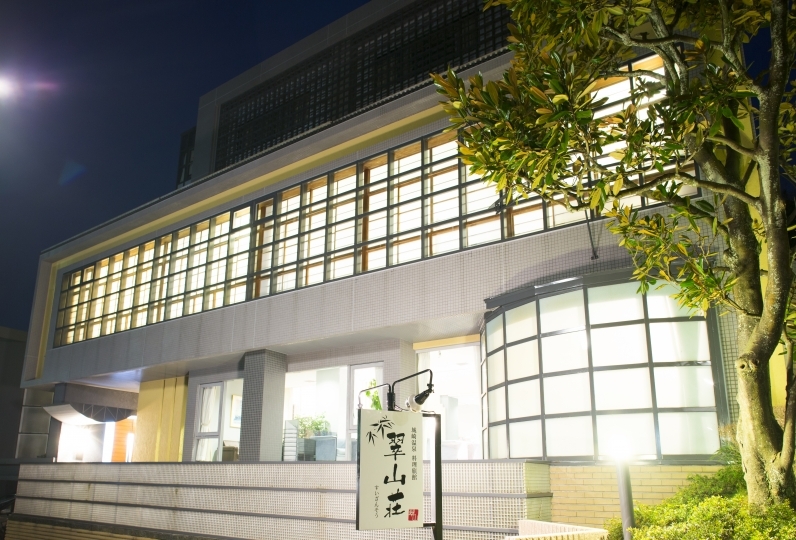 All the staff members touched me gently with a smile, I feel that it is a good accommodation. Thank you very much. The drinks were expensive. It is tough for high school students ... other than that it was a really nice inn. Shigaraki earthenware bath "Take"/Natural stone bath "Tsuki" (with tatami flooring)/Natural stone bath "Kaze"
Guests staying overnight will be able to use these baths free of charge. Usage of the private baths is limited to 40 minutes per group. Upon check-in please indicate which bath and what time you would like to reserve the bath. For guests who would like to reserve the bath in advance of your scheduled arrival day there will be an additional charge of ¥2,160. For advance reservations please call us or fill out the reservation form on our website. Enjoy the calming aromas and healing music in this serene and modern Japanese atmosphere as you receive a warm massage. Men and couples are also welcome. For reservations, please contact us by phone (0796-32-2738) or email. There are seven public baths along the Otanigawa River. 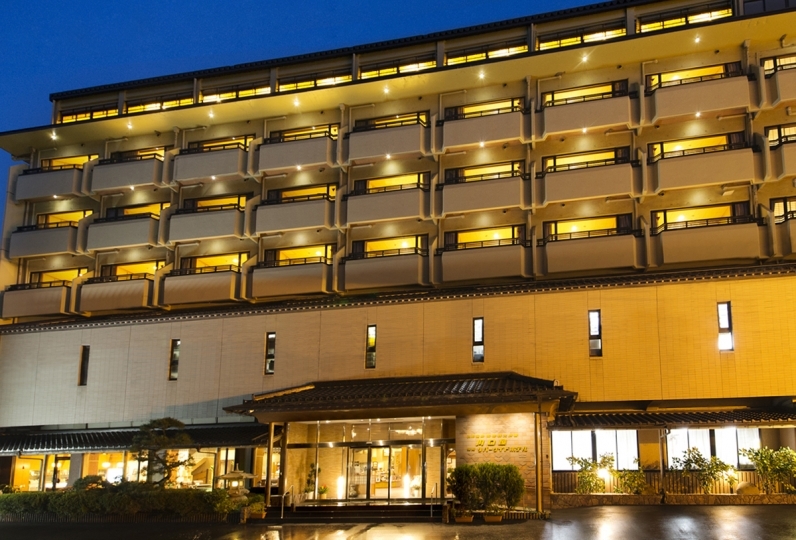 Each one has an origin and tales that showcase the deep history of the Kinosaki Onsen. Stop by the nearby souvenir shops and historical spots as you tour the baths. 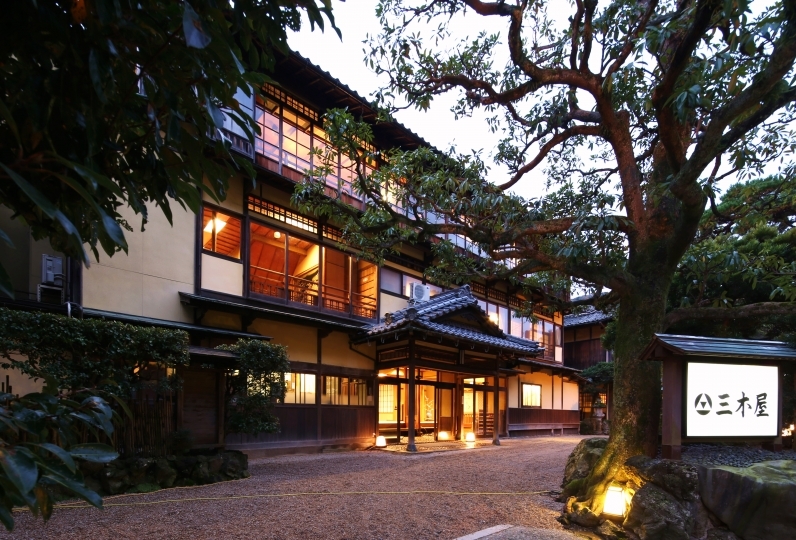 From our location, Kou no yu, Gosho no yu, and Mandarayu are just a 3 minute walk. ・Osaka Station―＜JR Limited Express Kounotori Route 3＞―Kinosaki Onsen Station―free pick-up and drop-off service―Kinosaki Onsen Yuraku "Yuraku Kinosaki Spa & Gardens"
・Kyoto Station―＜JR Sagano Line＞―Fukuchiyama Station―＜JR Sanin Main Line＞―Kinosaki Onsen Station―free pick-up and drop-off service―Kinosaki Onsen Yuraku "Yuraku Kinosaki Spa & Gardens"
・Kyoto Station―＜JR Limited Express Kinosaki Route 3＞―Fukuchiyama Station―＜JR Sanin Main Line＞―Kinosaki Onsen Station―free pick-up and drop-off service―Kinosaki Onsen Yuraku "Yuraku Kinosaki Spa & Gardens"
・Kyoto Station―＜JR Kyoto Line＞―Fukuchiyama Station―＜JR Limited Express Kounotori Route 3＞―Kinosaki Onsen Station―free pick-up and drop-off service―Kinosaki Onsen Yuraku "Yuraku Kinosaki Spa & Gardens"
※For guests arriving by JR limited express trains, please use the free pick-up and drop-off shuttle bus service provided by the Kinosaki Onsen Ryokan. The shuttle bus schedule follows the limited express train arrival times between 12:30pm~6:00pm. When you arrive at the Kinosaki Onsen Station, please ask a station attendant for directions to the shuttle bus "heading towards Yuraku". If there is no shuttle bus or if you have a late arrival, please call us and we will come to pick you up.